New York City is a bustling place with lots to see and do. From museums like the Guggenheim and the Met to the Statue of Liberty and Central Park, New York is filled with attractions that tourists want to visit. The Statue of Liberty was given to the United States by France in 1885. Now, Lady Liberty stands on Liberty Island in the mouth of the Hudson River as a welcoming symbol to immigrants, visitors, and those returning to America. Visitors can take a ferry to the island and explore the statue on their own. 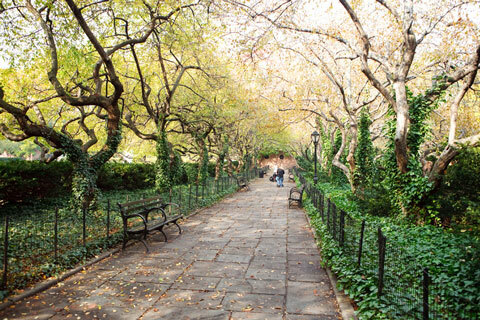 Central Park is the most visited city park in the United States. 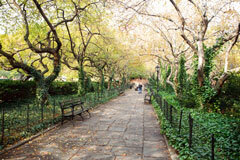 The park is located in Manhattan and is perhaps the only source of greenery that many New Yorkers see. The park is landscaped and contains artificial lakes, two ice-skating rinks, and a wildlife sanctuary. It also features numerous playgrounds, grassy areas, and walking tracks. The Chrysler Building was part of the 1929 "race for the sky" that broke out in Manhattan. Automobile tycoon Walter Chrysler battled Bank of Manhattan Trust Company for the title of world's tallest building. 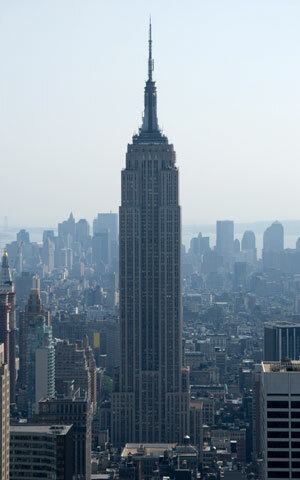 Chrysler won the competition by erecting a thin spire on the roof that raised the building's height to 1046 feet. The Chrysler Building's victory was short lived; four months after its completion, the Empire State Building snagged the title of world's tallest building. The Empire State Building is a 102-story skyscraper that was the first building to have over 100 floors; it even stood as the world's tallest building for 41 years. The Empire State building is open to the public and features an outdoor observatory on the 86th floor. The observation deck offers a unique, 360 degree view of the city. Various luxury stores line the avenue, making Fifth Avenue a world renowned location synonymous with some of the best shopping worldwide. It is often compared to Oxford Street in London or the Champs Elysees in Paris. The Met contains over two million pieces and includes works from all over the world that date from ancient to modern times. It is a dream destination for any art lover. The Guggenheim is known for its unusual design, as well as its world-renowned content. This Frank Lloyd Wright masterpiece holds an amazing collection of modern and contemporary art. The former location of the World Trade Center that was destroyed in a terrorist attack on September 11, 2001 is now known as Ground Zero. The area is located in lower Manhattan and will feature a memorial entitled "Reflecting Absence." There are also plans for a museum that will display artifacts and retell the tale of the attacks. 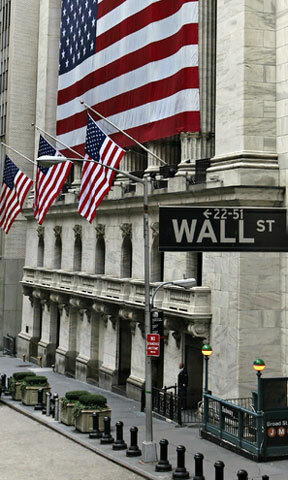 The NYSE is located in the Wall Street financial district. It is the largest stock exchange in the United States in terms of dollar volume and second in terms of the number of companies listed. Tourist can stop and watch the ever changing stock values scroll by. The Bronx Zoo is world-famous. It opened over a hundred years ago, in 1899, and has been in the forefront of efforts to protect wildlife and educate the public. Children will love seeing the animals in replicated natural environments while surrounded by such an urban setting.